We have all heard of “the cloud“, but many people do not understand what it is, or how they can take advantage of the cloud for their personal or business use. Businesses especially have a lot to gain from implementing a cloud architecture within their IT department. 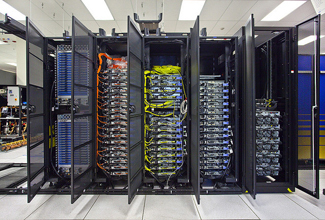 “The cloud” is a term used to describe an off-site system of computers. Usually there are cloud servers that operate with a specified set of hardware and software, with the software made available to the users through their connection to the hardware. For example, a word processing software could be hosted in the cloud, and users would log in, perform their word processing tasks, and log back out. Everything they did would be stored on the cloud server, and would be available to the user anywhere they had access to an Internet connection. Something else the cloud provides is secure backup and storage of information. By giving users their own lockbox to store files in, a cloud server is making those files available to those users from anywhere with an Internet connection. The user may edit the file on their local computer, and then re-upload it back to the cloud for access later or somewhere else. 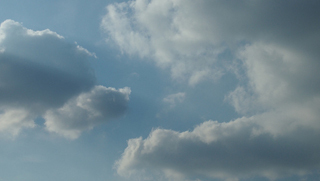 The cloud continues to grow, both in size and capability. As computers become more advanced, what can be accomplished over an Internet connection also becomes more advanced. For example, when the cloud was just getting started, it was mostly just for storage. Now companies like Microsoft and Google have whole sets of tools and software available to use over the Internet, with everything stored and run in the cloud. But how does one get started using the cloud? Not just using the services that are already out there, but setting up a service for their business that will allow employees to access and work on information from anywhere. For cloud computing in Los Angeles, businesses should turn to GeekTek IT Services. Our full-service suite of tools will have your business up and running in the cloud in no time, and we provide the support you need to ensure that your cloud servers are always operational so that employees have access whenever and wherever they are. How Do You Start With Cloud Computing? Setting up a cloud server is not something that can just be learned from a book or online tutorial. To have it done properly, and for maximum effectiveness, a business needs to turn to GeekTek IT Services for our expertise in this area. We will work with your IT department and the business managers to establish what type of cloud infrastructure and capability your business is looking for, and how best to meet those needs. Once we have established what you need, we can go about building your cloud infrastructure and installing the hardware and software to build the cloud server. It is important that employees be educated about the new cloud infrastructure that your business has, and we can certainly provide detailed information that will help them get up and running on your new cloud servers, accessing the software and uploading and saving files. Whether you just need a basic file server that is accessible from anywhere, or you want hosted software that will allow employees to work from anywhere without having to have special software loaded onto their computer, we can help set up your cloud server and software to the configuration that best suits your business need. When the time comes to set up a cloud infrastructure for your business in Los Angeles, contact us at GeekTek IT Services. We look forward to hearing from you and helping you meet your business cloud service needs.